Skaters arrived in Windsor early this morning for the 2012 Skate Canada Synchronized Skating Championships, taking place at the WFCU Centre. The championships begin today, February 23rd, with the welcoming ceremony kicking off the event at 4:05pm. The event runs until Saturday, February 25th, when it will close out with the medal presentations, followed by the closing ceremony. 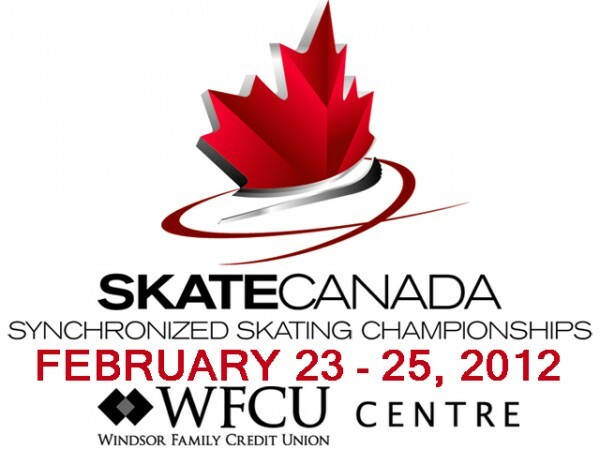 The 2012 Skate Canada Synchronized Skating Championships will bring approximately 1000 skaters from across Canada to the city of Windsor. The event is also expected to bring in over $800,000 to the area.